O. Henry Middle School is named for William Sydney Porter, better known by his pen name of O. Henry. A prolific short story writer in the early 1900’s, Porter lived in Austin from 1884 to 1895, working at the General Land Office as a draftsman and at the First National Bank of Austin as a teller. In 1894 he wrote, illustrated and published a weekly ten page paper called The Rolling Stone. Although the paper had a sizable circulation, the venture was unsuccessful. Porter moved to Houston in 1895 to write for the Houston Post. A federal audit of the bank he had worked at resulted in charges of embezzlement, though his guilt remains a topic of debate. Porter fled the country to avoid trial, but returned to Austin when his wife became gravely ill. Sentenced to prison in Ohio, he began to write short stories under the name of O. Henry to support his daughter. After his release in 1902 he moved to New York City where he began his successful career as a popular writer of short stories. During his lifetime he published over 600 short stories, and was famous for his surprise, or “twist” endings. Some of his most well known stories are The Gift of the Magi, The Ransom of Red Chief, The Cop and the Anthem and The Furnished Room. The Austin History Center has a wonderful collection about O. Henry’s years in Austin. The O. Henry Museum is located in a former residence of William Sydney Porter, and the General Land Office where he worked is now the Capitol Visitors Center. The former US Post Office and Federal Building at 601 Colorado was a courthouse for the US District court where Porter was tried and convicted. The building is now owned by the University of Texas, and was renamed O. Henry Hall. 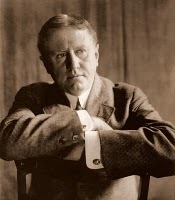 You can read O. Henry’s works at The Literature Network. Mission O. Henry’s mission is to provide students with a safe, nurturing learning environment that celebrates cultural diversity, while promoting mutual respect, life-long learning and civic responsibility. Feeder Schools O. Henry provides middle school education for students from seven "feeder" elementary schools from Central and South Austin. These AISD neighborhood elementary schools include Barton Hills Elementary, Bryker Woods Elementary, Casis Elementary, Mathews Elementary, Oak Hill Elementary, Pease Elementary and Zilker Elementary. Three AISD East Austin elementary schools, Allan Elementary, Allison Elementary and Govalle Elementary have a "Diversity Choice" option to attend O. Henry. Demographics 50.1% White, 40.4% Hispanic, 3.7% African-American, 5.8% Other. 26.5% students are economically disadvantaged. Schedule Students may enter the front flagpole entrance of the building at 7:50am and go to the cafeteria (for breakfast or in bad weather) or to the library (with a library pass). Students may access the rest of the building at 8:20am when the first bell rings. All students are expected to leave campus by 3:45pm, unless they are involved in a school-sponsored activity. First period begins at 8:25am. Each class lasts 46 minutes. Students will have eight (8) classes each day and will have four (4) minutes to get from one class to another. On Wednesday, students attend their odd number classes. On Thursday, students attend their even number classes. ACES (Academics, Curriculum, Enrichment, and Support) is our 6th period class. During ACES, students will participate in Character Education lessons, enrichment/intervention activities, silent reading, service projects, and Wellness activities. Extracurricular Activities Chess Club, Math Counts (Math Club), Book Club, Football, Volleyball, Girls and Boys Basketball, Girls and Boys Soccer, Girls and Boys Track, Golf, Tennis, Orchestra, Band, Jazz Band, Cheerleading, Pep Squad, Choir, Dance, Production Theater, Yearbook Staff, Newspaper Staff, National Junior Honor Society and Student Council, and Philosophy Club. Meals Healthy, nutritious meals are provided by AISD Nutrition and Food Services. Student lunch costs $2.85 and breakfast costs $1.50. Sack lunches may be brought from home (no glass containers please). Water may be purchased from our vending machines. Money for student lunch accounts can be pre-paid at any time, in any amount (cash only) with the cafeteria staff in the morning, or by using SchoolCafe.com. Parents / guardians may apply for free or reduced cost meals for students. Bus Schedule Parents are advised to check the AISD web site for current bus schedules and routes. Additionally, parents may contact AISD Transportation at the following numbers: North Terminal: 512-414-6520; South Terminal: 512-414-8500. Buses drop off and pick up students on the east side of the O. Henry campus on Wayside Drive. Student Drop Off / Pick Up: Non-bus student drop off and pick up activity should occur in front of the school on Tenth Street. Please remind your student(s) to look both ways before crossing the street as there is no crosswalk on 10th Street. Student Medical Needs: If your student requires medication, you must bring that medicine to the nurse's clinic along with an appropriate note as to its use and distribution. Students must request a pass from their teacher before coming to the nurse's clinic. Students are not allowed to go to the nurse's clinic between classes unless it is an emergency. Messages Please contact the front office to leave messages for your student. Please limit messages to EMERGENCIES only. The receptionist can be reached at 512-414-3229. O. Henry has undergone two major renovations, with the most recent in 1999. Marlo Mallot is the current principal, replacing Pete Price who served 16 years as principal. Rodger Wiley served 13 years as principal in the sixties and seventies. Read the August 25, 1953 Austin Statesman article about the opening of new schools, including O. Henry Junior High.